Which Internet Security Software is the best for 2019? If you are in the market for an Internet Security solution, there is no shortage of options currently available; and while it’s good for the overall state of the industry, this can complicate matters for a newcomer to computer security. At Anti-Virus4U.com we tend to review software based on its feature set, but if that doesn’t narrow down your choice, looking at how well these features were implemented can help. And that’s exactly what we are going to do today. These tests were run on a Windows 10 PC with up-to-date third-party software like Adobe Flash and Java. This is important, since one unpatched application can endanger the whole setup, even with the most advanced and up-to-date security software in place. So please keep in mind that your mileage may vary. In their testing, AV-Comparatives chooses "Allow" or equivalent when a choice is given to the user. If a piece of software still protects the system, the threat is counted as blocked; if the system is compromised as the result of that choice, it is counted as "User-Dependant". And finally, safe links that get flagged as threats are counted as "False-Positives". Looking at the chart, it is clear that every solution in our selection managed to block all threats, even when the user erroneously marked malware as safe. 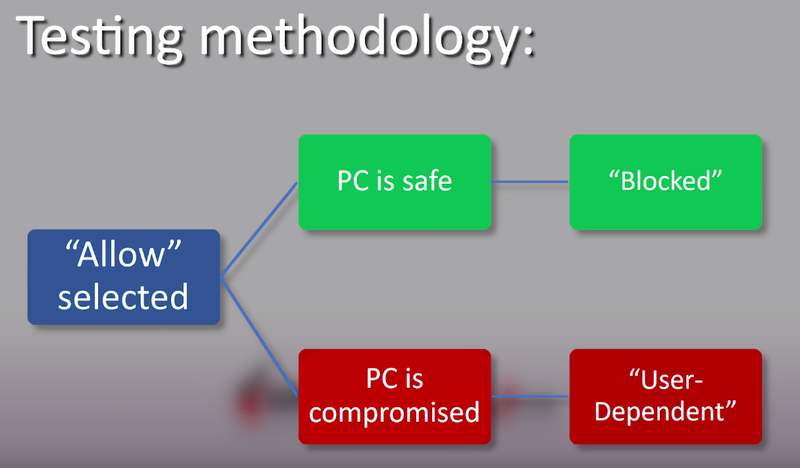 Keep in mind, that a 100% protection rate doesn’t mean a piece of software is flawless, it means that it managed to block all malicious samples featured in the test. So this competition comes down to the amount of false positives these solutions had, which means whichever application you decide to go with, the only real difference is in user experience, or, to be precise, how often “the alarm” gets set off by harmless links. 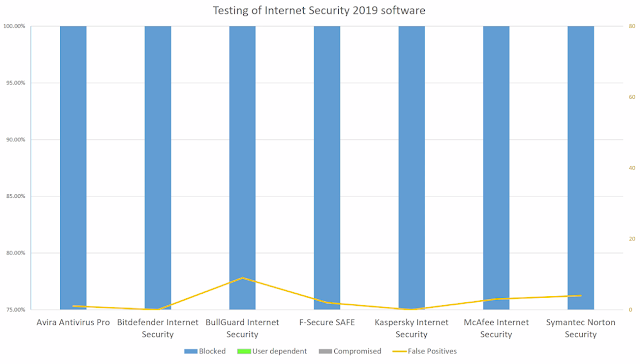 Bitdefender and Kaspersky are leaders, with zero false positives, Avira comes close to that with 1 false positive, F-Secure ended up with 2, McAfee with 3, Symantec with 4 and Bullguard came last with 9 false positives in total.